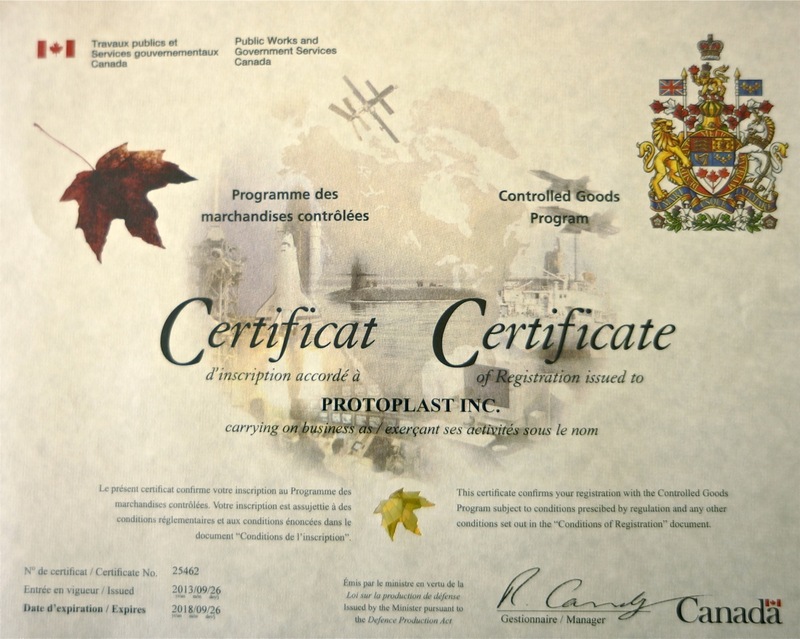 Protoplast Receives Renewal Certificate for Controlled Goods Program - Protoplast Inc.Protoplast Inc.
With a renewal certificate effective until 2018, Protoplast remains a proud participant of the Controlled Goods Program in Canada. The objective of this program is to safeguard controlled goods within Canada; strengthening Canada’s defence trade controls and preventing access to tactical and strategic assets including weapons, satellite global positioning systems & communications equipment, military equipment and related intellectual property. Several key customers rely on Protoplast for this high level of security, accountability and traceability.